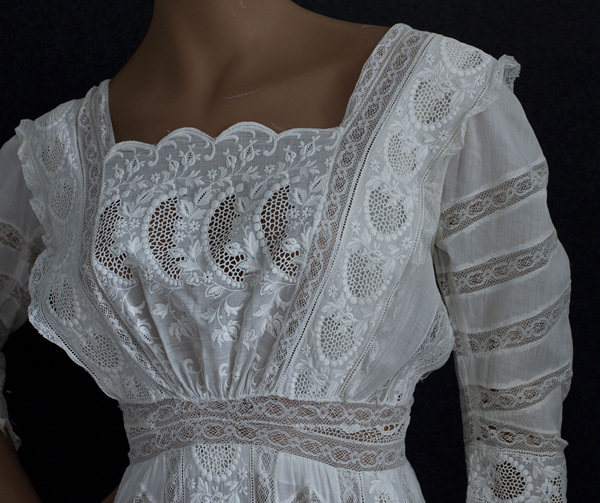 An antique dress that has not been altered or redesigned is a real find for a collector. This machine embroidered dress is great buy if you want the look without the high cost of hand embroidery and handmade lace. 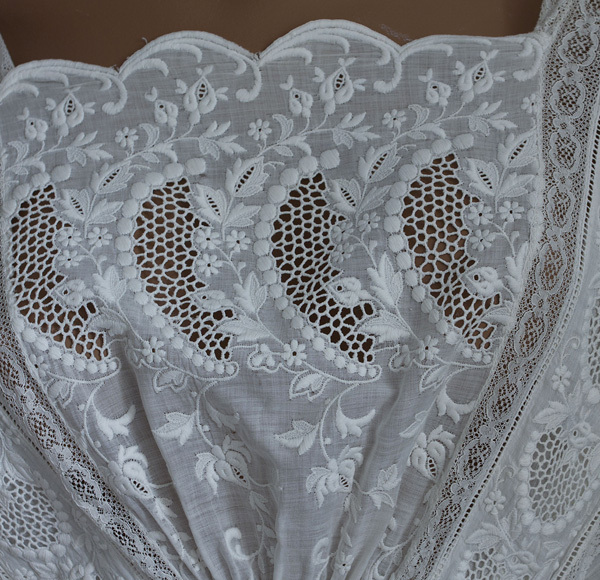 Made from lightweight white cotton broadcloth, the dress is lavishly decorated with machine embroidered cutwork and lace inserts. 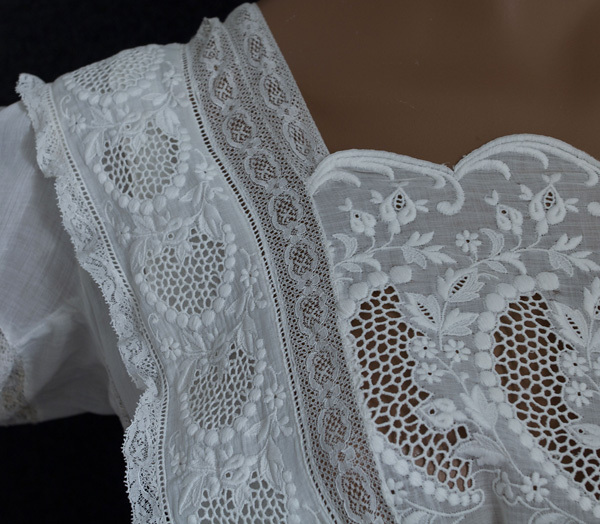 I love the scalloped edge on the neckline. 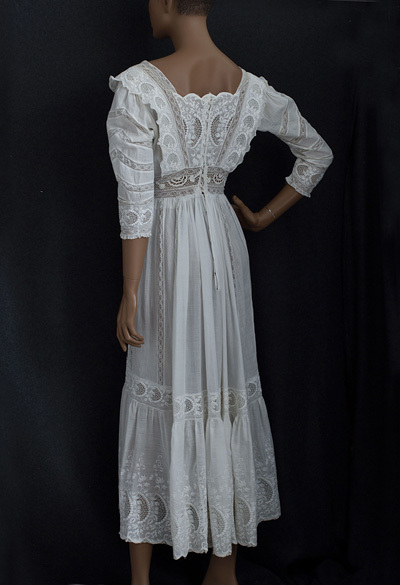 The dress closes in back with small thread-covered buttons on the bodice and with hooks on the skirt. 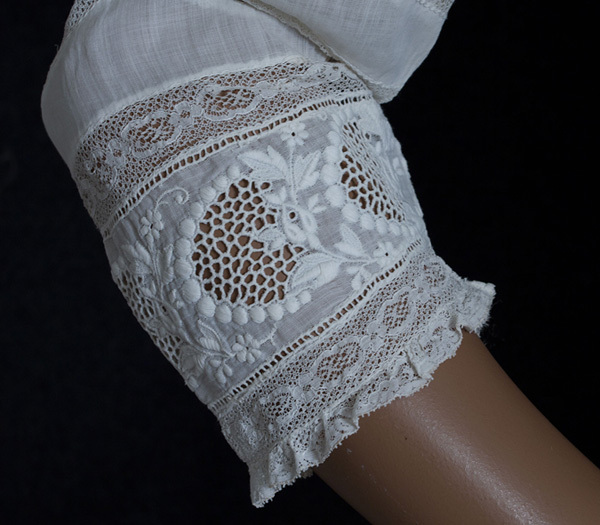 With their endearing feminine charm, the semi-abstract floral motifs on the bodice intimate the eternal mystery of woman's beauty. 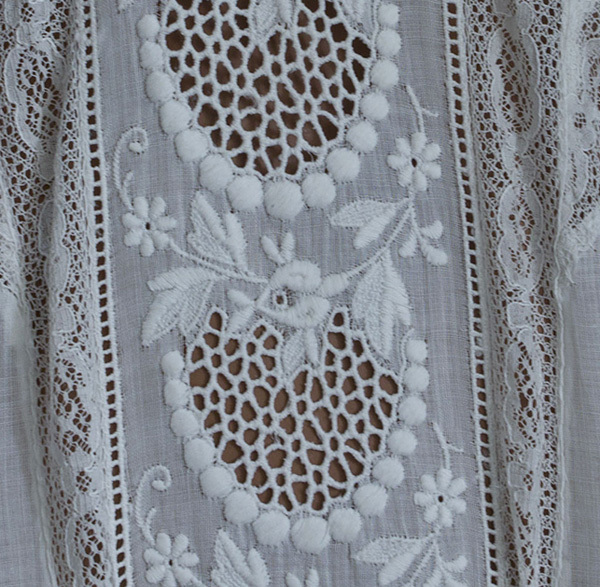 Despite the elaboration of decorative elements, the pristine dress has an unaffected naturalness that wins the heart. Indeed, the simplicity of the overall design allows the viewer to take in the concept as a whole and then turn to its highly imaginative parts. 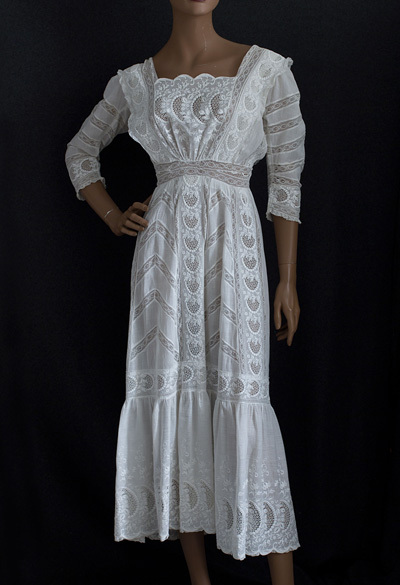 This graceful dress would be perfect for an informal wedding. 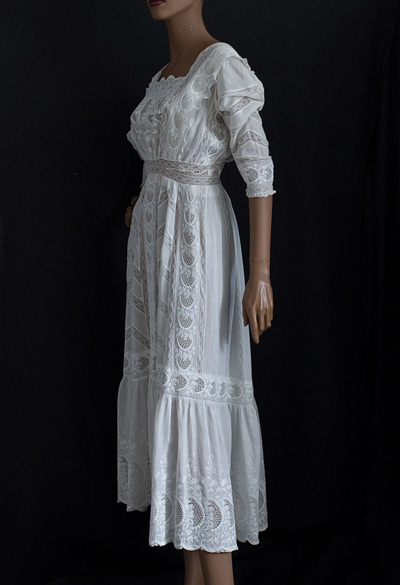 I can just see the dress' first owner at the garden party where she met her future husband in May, 1910. He never forgot her greeting: "It is impossible that you can remember me!" she said in a lilting voice. He looked round and was greeted by a pair of sparkling eyes and the gayest smile in all the world. The condition is almost excellent. 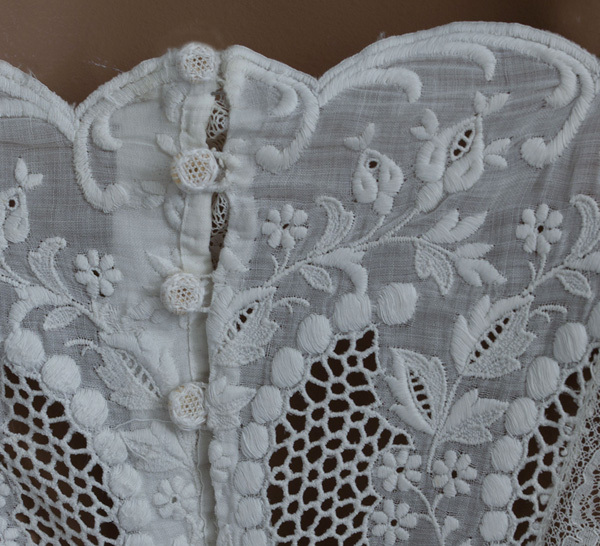 I found a few barely visible mends in the lace. The dress is clean and ready to wear. It measures: 36" bust, 26" waist, 17" sleeve length, 50" from shoulder to waist, and 50" from shoulder to hem.